Free suicide prevention workshop for parents, caregivers and community partners! Posted November 24th, 2017 by Crisis Centre & filed under News. 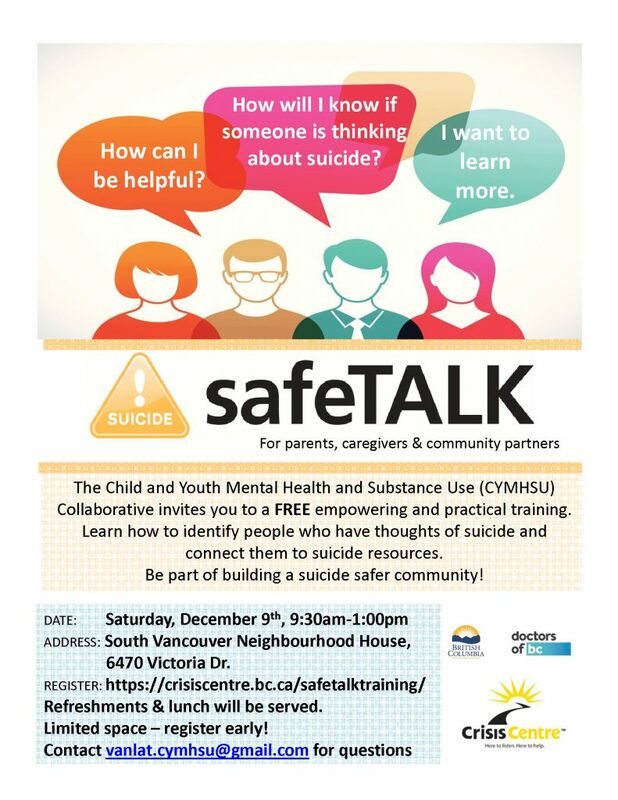 We are offering a free safeTALK session on Saturday December 9 for parents, caregivers and community partners!